Thu., Aug. 30, 2018, 9:55 a.m.
CHICAGO – Learning disabilities and other special education needs are common in children born with opioid-related symptoms from their mother’s drug use while pregnant, according to the first big U.S. study to examine potential long-term problems in these infants. The study involved about 7,200 children aged 3 to 8 enrolled in Tennessee’s Medicaid program. Nearly 2,000 of them were born with what doctors call “neonatal abstinence syndrome.” It’s a collection of symptoms caused by withdrawal from their pregnant mother’s use of opioid drugs like prescription painkillers, heroin or fentanyl. The drugs can pass through the placenta into the developing nervous system. In Tennessee, hard hit by the nation’s opioid epidemic, the rate of affected infants soared from less than one per 1,000 hospital births in 1999 to 13 per 1,000 births in 2015. Whether the study results would apply elsewhere is uncertain but in Tennessee, most children born with withdrawal symptoms are enrolled in that state’s Medicaid program. Also in Tennessee, a syndrome diagnosis qualifies kids to receive early intervention services. Maitre, who wasn’t involved in the study, said she suspects the research may underestimate the magnitude of the problem, because it only captures kids who haven’t slipped through the cracks. The researchers said taking into account other factors that could affect children’s development – including birth weight and mothers’ education and tobacco use – didn’t change the results. 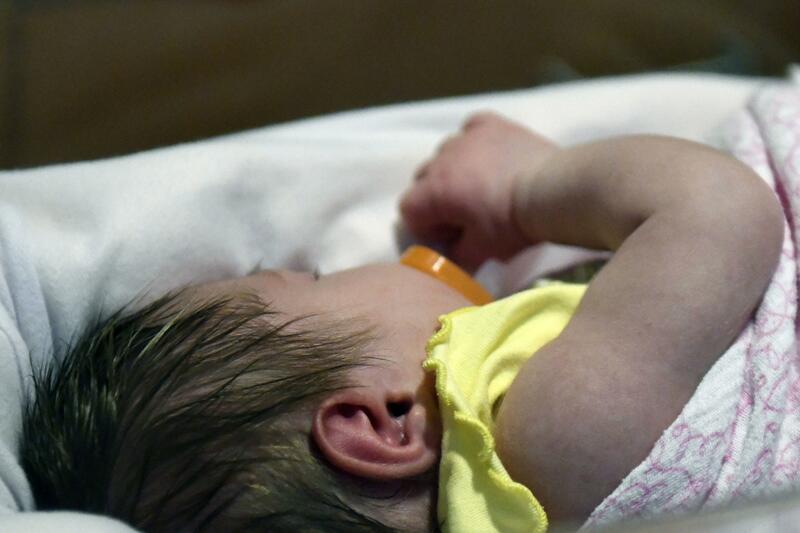 Study co-author Dr. William Schaffner of Vanderbilt University said it makes sense that opioid use in pregnancy could affect children’s later development. Some studies have found brain differences in affected children including in a region involved in certain types of learning. Published: Aug. 30, 2018, 9:55 a.m.